Working most of your adult life in a cubicle is like being in sensory deprivation chamber. You start noticing more details. I took this series of pictures without a tripod, just walking around town with my long lens. 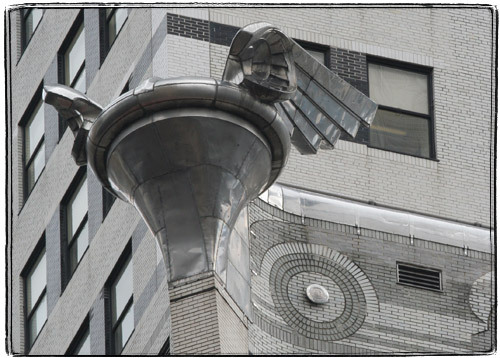 Looking at the steel eagles on the Chrysler Building up close, it’s easy to imagine yourself a superhero, standing on it with a cape billowing behind you. It’s a little harder with the eagles’ less popular neighbors – flying hubcaps. 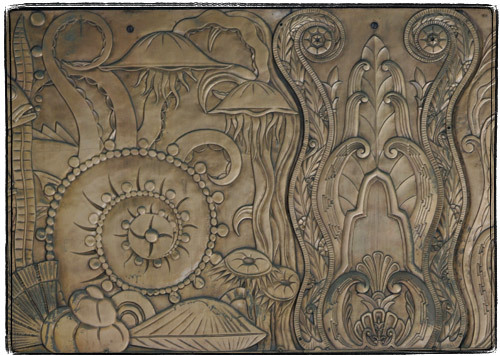 The decorations of the beautiful Art Deco Chanin Building are so very Lovecraftian. Tentacles, pentacles, tentacles with pentacles. 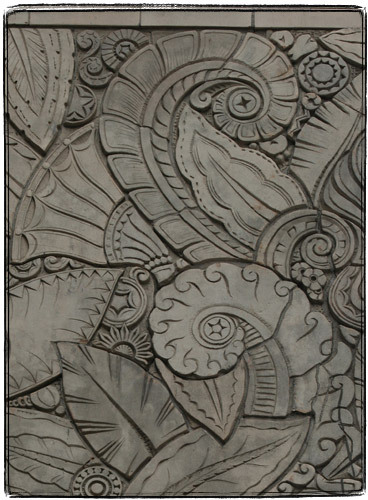 More tentacles and jellyfish on the copper parts. 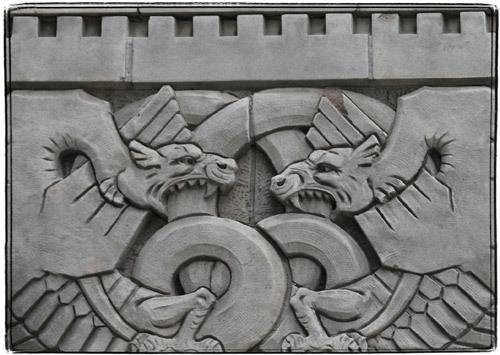 The fighting dragons. 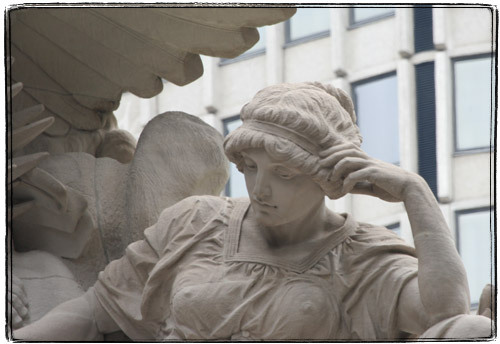 An allegory of retaliation or something? 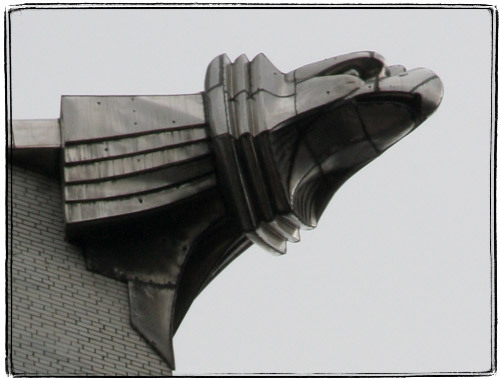 Minerva on the top of the Grand Central Terminal has a very modern look favored these days by Conde Nasties and the like. Must be cold up there. 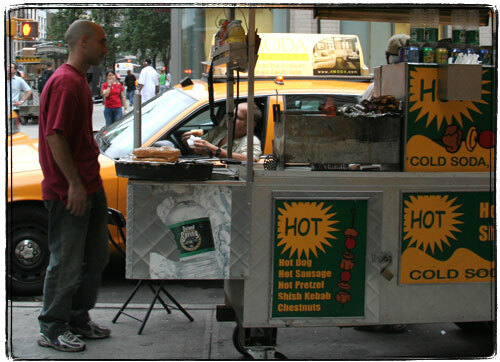 It’s pretty cool to see how cabbies order hot dogs without getting out of their Crown Victorias. I hate graffiti, and especially train graffiti. That said, I must acknowledge that an infinitesimally small percentage of graffiti tags is actually cool. Here’s one that caught my attention. 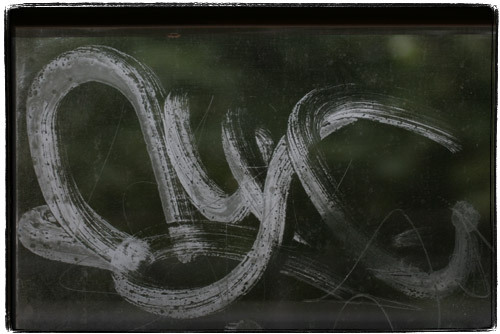 It looks like instead of the usual gobbledygook and gang symbols, this tagger painted “NYC” in a manner highly reminiscent of Japanese calligraphy. I still mind having it blocking my view, but I would not mind purchasing something like that on a scroll. These are my two favorite NYC photography books. 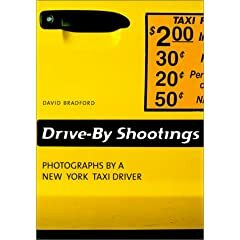 “Drive by Shootings : Photographs by a New York Taxi Driver” is a collection of photographs by a taxi driver with a Yashica T4 from behind the wheel. 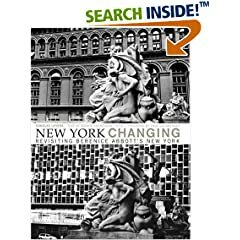 “New York Changing: Revisiting Berenice Abbott’s New York” is a collection of photographs of New York originally taken by Bernice Abbot in the thirties, and then retaken with the same camera, lenses and at the same angles by Douglas Levere in the nineties.